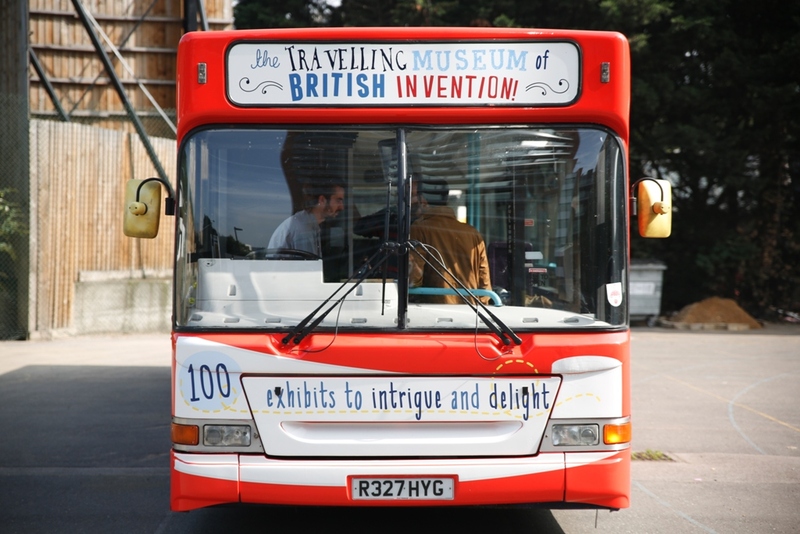 100 British inventions and discoveries all packed into a single bus. How can so much fit on one bus? With ingenuity! Inventions are packed into 9 themed cabinets of wonders. You’ll find penicillin in the medicine cabinet, the rawlplug in the toolbox and hawk-eye in the Trophy cupboard. Each exhibit tells a concise story using intriguing anecdotes, surprising artefacts and even the odd jar of facts. Come along and take a peek behind each door, to see what you will discover. 4) In 1547 Golf was banned in Scotland by James II because it distracted people from military training for wars against the British. The Travelling Museum is produced by Sing London, the participatory arts organisation whose interventions aims to lift the public’s spirit. The project is funded by The Scottish Government &, The Royal Academy of Engineering. Additional support comes from First Buses who provided the bus, and from CnM the Welsh computer company who supplied technology.